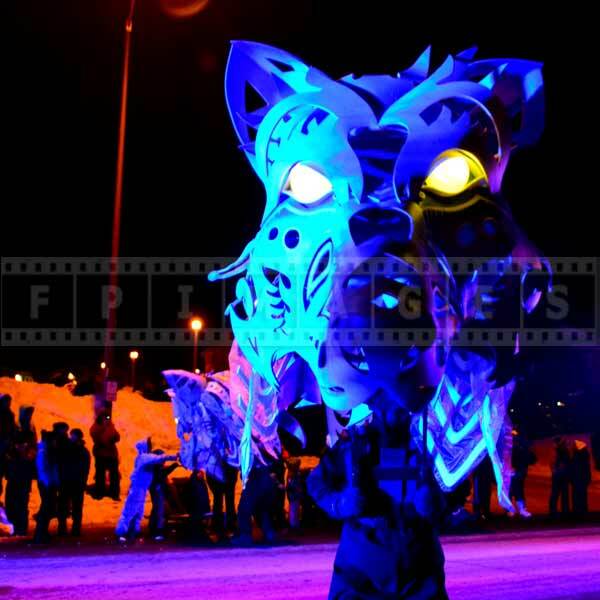 Quebec winter carnival night parade (Part 2) continues to tell the story about this great winter event and showcase more winter pictures. 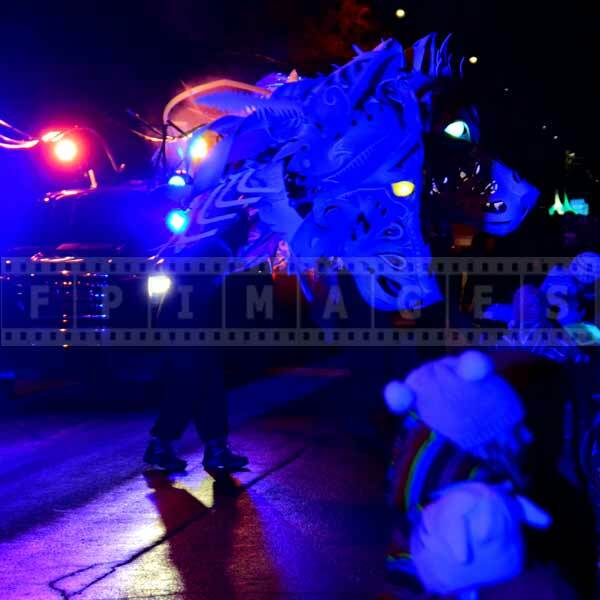 FPImages presents 15 more night images taken at 2015 Quebec winter carnival night parade. 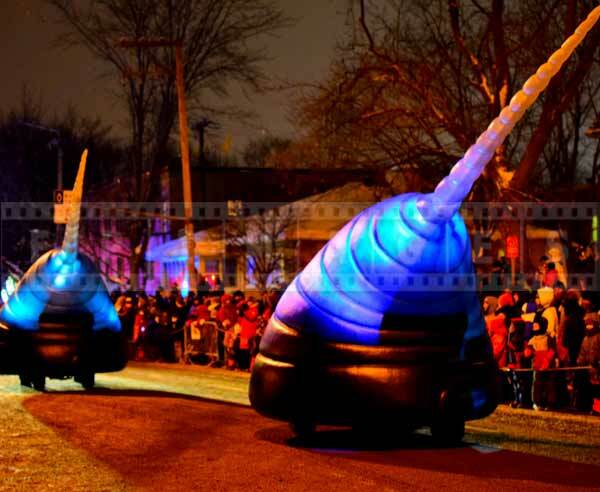 Attending this night parade is an excellent way to celebrate winter, have fun and capture amazing night images and winter pictures. This is truly fun travel idea for all ages. 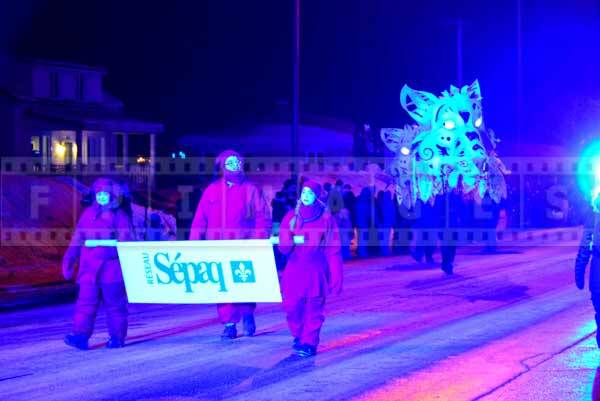 Quebec winter carnival night parade is sponsored by major companies and organizations of the Province of Quebec (PQ), Canada. 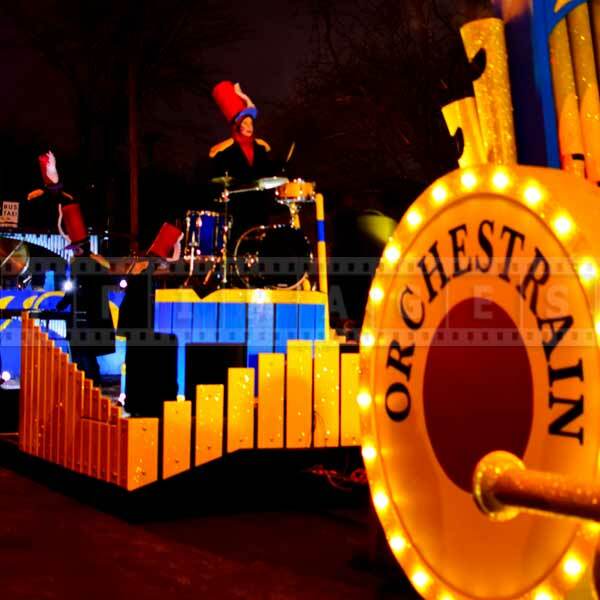 Each installation is preceded by a poster that tells you the name of the company that helped create this wonderful winter night parade. Special mention must be made of all the volunteers that contributed their time and effort to make sure smooth operation of the event. 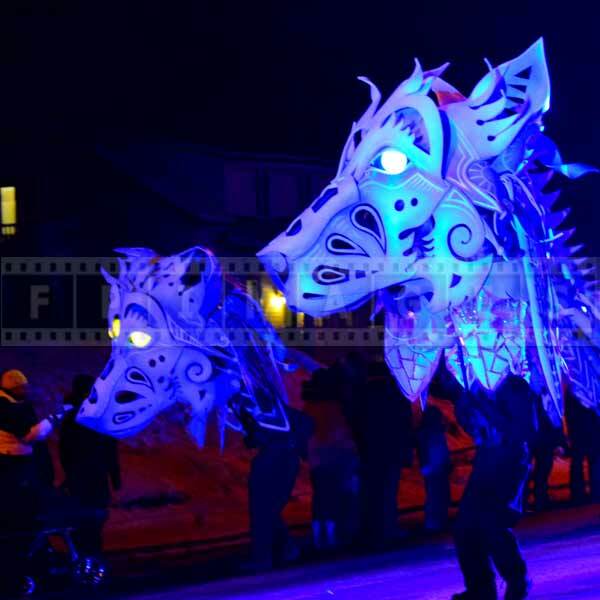 One of the most stunning show at 2015 Quebec winter carnival night parade was procession of giant wolves with glowing eyes. 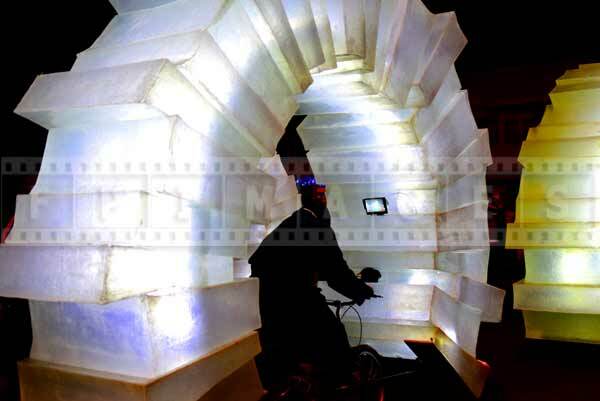 This show was created by Sepaq outdoor network. Sepaq helps people find unique and fun travel ideas in Quebec, Canada. Their website is full of useful information about outdoor Quebec tourism and will make your vacation in this Canadian province exciting and memorable. 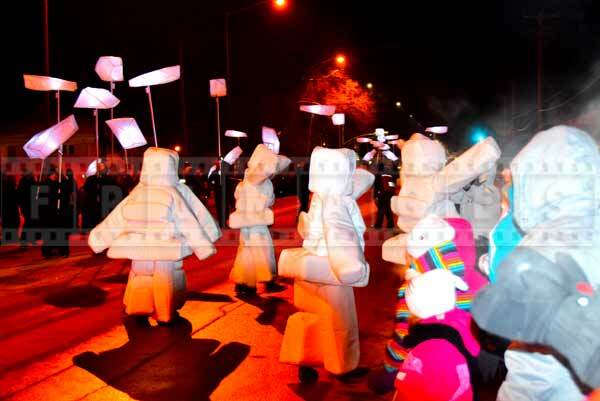 Quebec winter carnival night parade would not be complete without iconic Canadian symbol – Inukshuk, native abstract art. 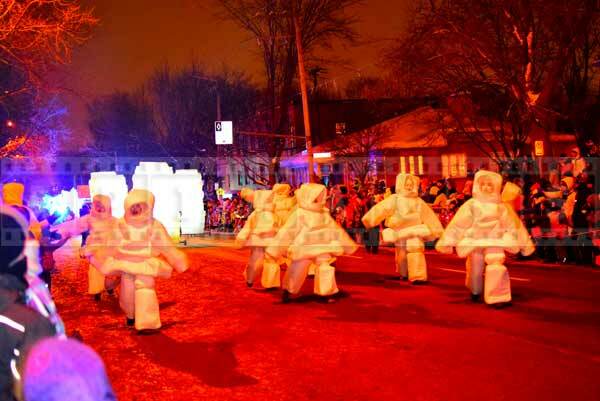 Government of Canada sponsored the next group at the parade – dancers dressed in a white costumes designed as inukshuks. The music and dance was well matched and the crowd liked the hugs that these inukshuks gave. 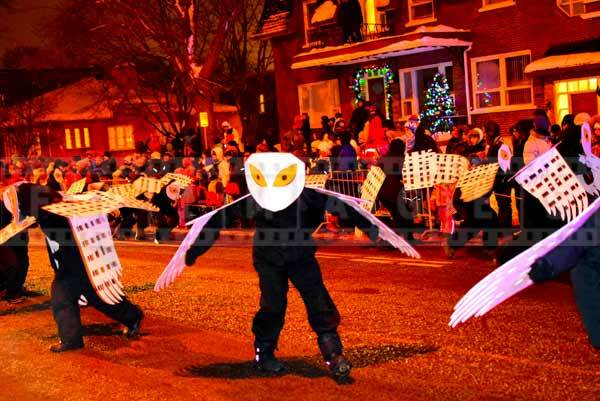 Quebec city winter night parade is a fun travel idea. 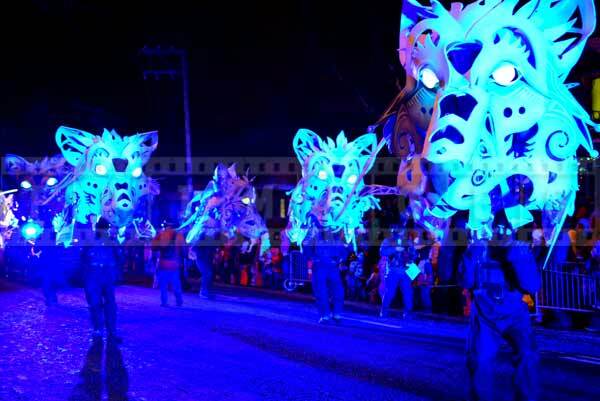 You will see many musical floats and join in with the singers and dancers. 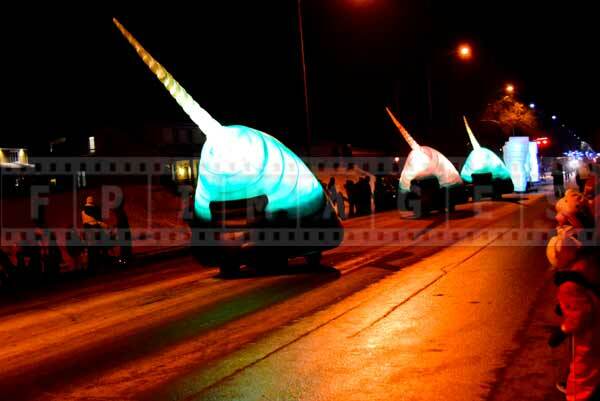 This is a good way to keep warm during this winter parade. By the time you walk from wherever you parked your car or from the hotel and then waited for some time for parade to arrive it could easily be couple of hours in temperatures in the range of -20C. Everybody in the crowd stomps their feet, waves their hands and has lots of fun. 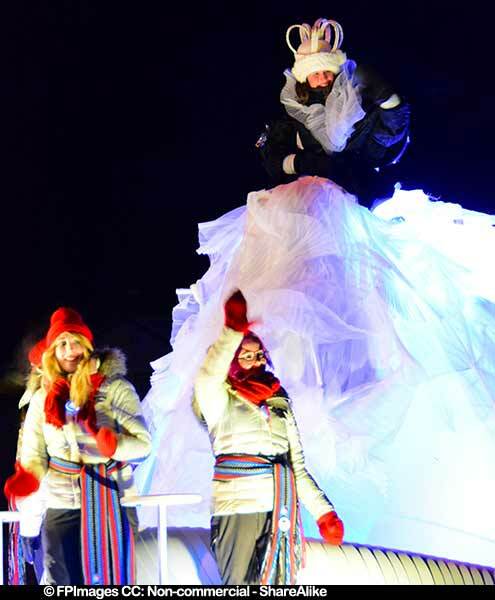 Travel tips for Quebec winter carnival night parade include first of all warm clothes and good winter boots. Streets are sidewalks are cleaned and plowed but remember that you will have to walk to your spot substantial distance and it may start snowing too. Then you will have to wait for the parade and walk back. Plan on being outside for at least 3 hours. 3. During snow use protective bag for the camera or use umbrella if winds permit. 4. Use prime lens with large aperture to avoid using flash and use lower ISO settings. 5. Find a spot with the less distracting background. 6. Exercise caution and common sense safety at night.